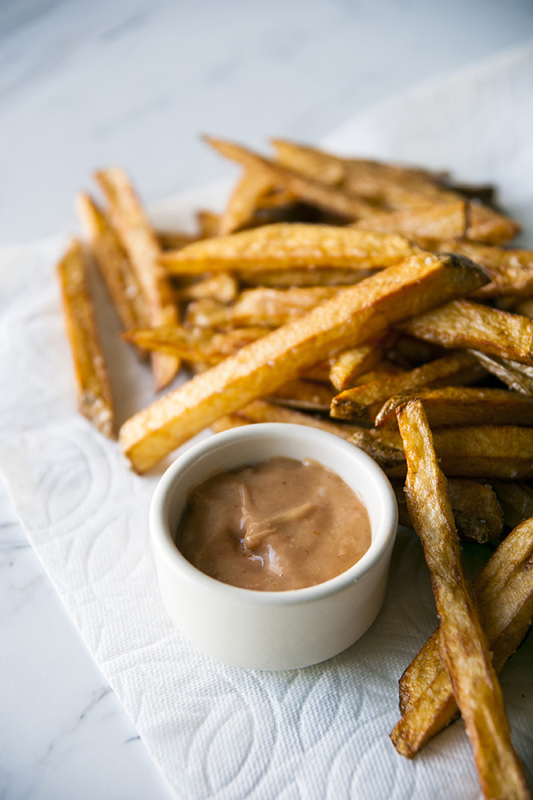 My brother, Henry, has now taken up the French fry mantle and added his own twist—Henry’s special sauce. Together, they’re delicious, and a perfect ode to the men in my family just in time for Father’s Day. Enjoy! 1. Heat the oil in a deep heavy pot over medium heat until it reaches 330 degrees F.
2. Meanwhile, slice your russets into slices about ¼-inch-thick, skin on. 3. When the oil is ready, add a third of the potato slices and stir once with some tongs, just to make sure they don’t clump together. 4. Cook for about 10 to 15 minutes, until a deep golden brown. 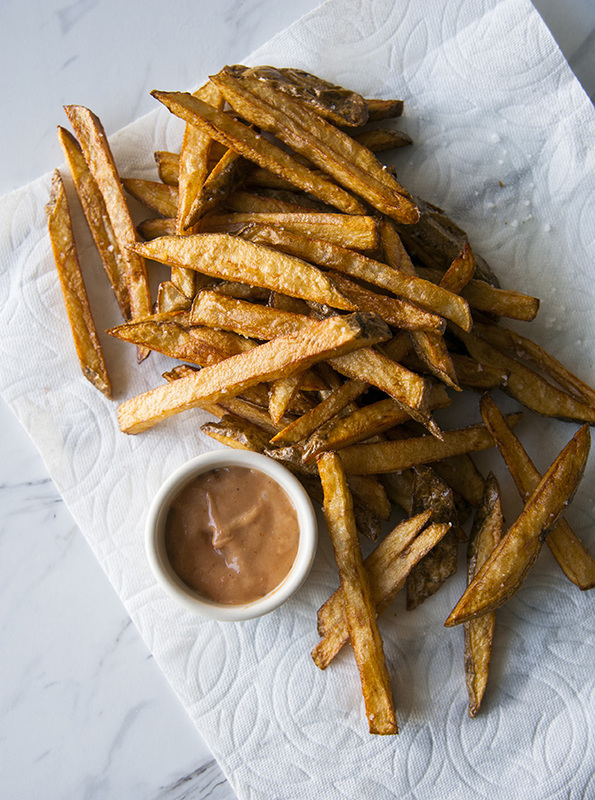 Cook the remaining fries in batches. 5. Set aside in a tray lined with paper towels. Immediately sprinkle with sea salt and eat while warm with Henry’s Secret Sauce. 1. Combine all sauce ingredients and stir together. 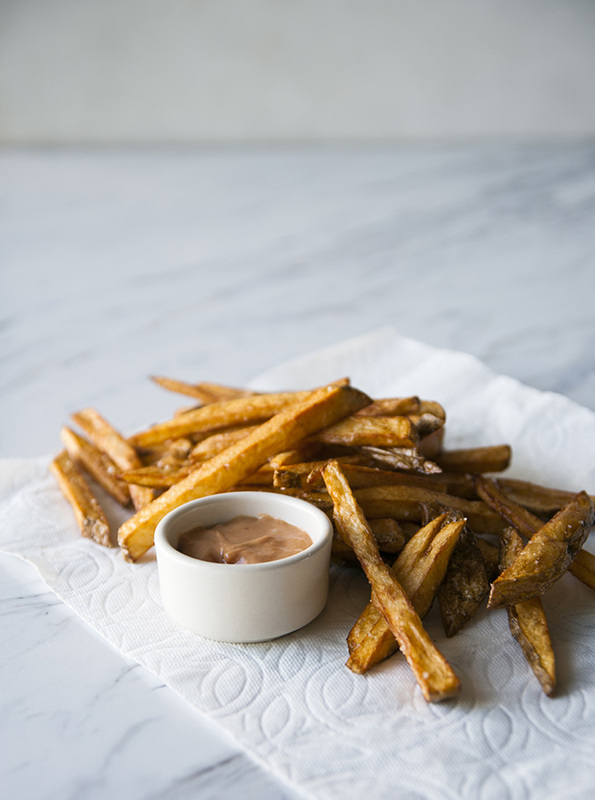 Will you be trying this French fry recipe at home?